Gamification has become pervasive in many every day activities, including health and wellness programs. For companies involved in these activities, you should make sure you are aware of the final Affordable Care Act (“ACA”) regulations on wellness programs. These come into effect in 2014. Gamification refers to the use of game mechanics for non-game purposes. It is often used to provide incentives for people to take certain actions. The mecahnics often include a combination of things such as rewards, status, levels, exclusive content or other incentives to shape user behavior. Airline frequent flyer programs are a great example – to gain repeat business and customer loyalty, airlines provide points (redeemable for flights and other things), status (priority boarding), premier or executive levels, exclusive content and offers, etc. Many health and wellness programs use similar mechanics to incent users to engage in healthy activities and/or refrain from unhealthy ones. 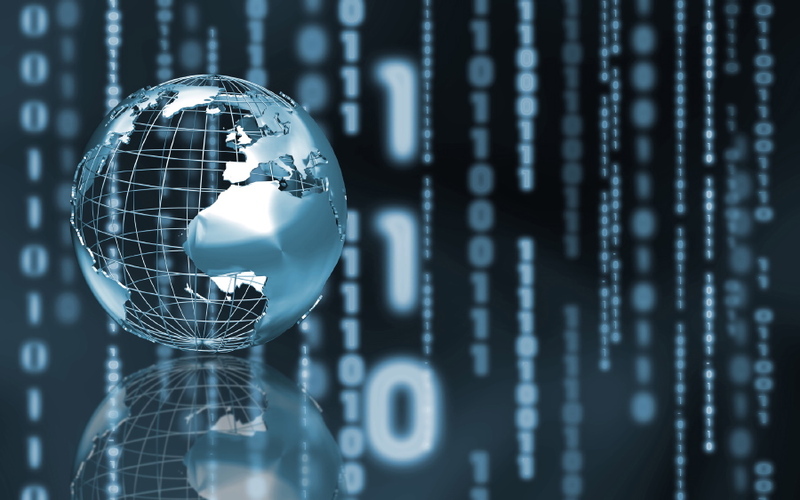 Gamification in general can create a host of legal issues of which companies should be aware. The recently finalized ACA regulations, summarized in Pillsbury’s recent Client Alert entltled “Final Wellness Regulations Create New Program Categories and Complications,” identify some specific to wellness programs. If you have any questions on this or other gamification issues, our Social Media and Games Team has extensive experience in this space. In a move that echoes what other major employers are doing, the nation’s largest retailer is working with a Boston-based marketing and consulting organization to improve more of its internal processes by lending them a digital-gaming aspect. In turn, greater “employee engagement” is supposed to lead to improving the experiences of Walmart customers. Nintendo Co. Ltd. argued Wednesday that the U.S. International Trade Commission’s chief administrative law judge had not properly considered its arguments to invalidate a patent claim by an interactive game company accusing Nintendo’s Wii products of infringing three patents. The U.S. branch of French holding firm Atari SA on Wednesday asked a New York bankruptcy judge to greenlight its plan to sell off its assets piece by piece, after it failed to garner acceptable offers from potential stalking horse buyers to bid on the game maker’s entire business. In a recent 62 page decision by the Third Circuit obviously intended to give guidance in an unclear area of the law, the rights of publicity of a college athlete in a video game trumped the First Amendment arguments of the video game manufacturer. Online Gambling Bets on Return to U.S.
Until a year ago, the U.S. Justice Department considered online gambling illegal, but PokerStars, arguing against that interpretation of the law, kept taking bets until the government filed a civil action against it. Now, the legal landscape has taken a surprising shift, and states like Nevada and New Jersey have passed laws allowing some forms of online gambling. PokerStars, which reached a $731 million settlement with the government but admitted no wrongdoing, wants back in. 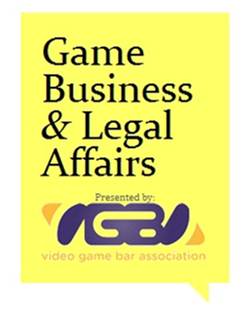 Games Business & Legal Affairs Event – Register Now! Pillsbury attorney, Sean F. Kane will be a featured panelist at the upcoming Video Game Bar Association’s inaugural Game Business & Legal Affairs conference. The conference will provide an in-depth analysis of the prevalent and pertinent legal and business issues within the video game industry. Founded in 2011 as an international membership organization, its mission is to provide a forum to promote the interaction of licensed attorneys whose primary practice is within the video games/interactive media industry, for lawyers are in-house counsel at game companies, and lawyers in private practice who represent game-industry clients. Mr. Kane will be serving as a panelist during the “Adventures in Finance” session which will take place on Tuesday, May 21st at 9:00am PT. Join us at the Game Developers Conference! Pillsbury is teaming up with Covert & Co. to host an exclusive VIP reception during the Game Developers Conference (GDC) on March 27, 2013 at the W Hotel in San Francisco. 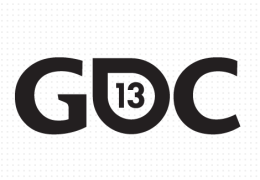 This will be the highest quality private event at GDC, attended by 200 leaders in the game/media sector. The event will include an exciting “fireside chat” with CEOs of the hottest game companies: Naoki Aoyagi (CEO of GREE), Ilkka Paananen (CEO of Supercell) and Torsten Reil (CEO of Natural Motion). Covert & Co. is a next-generation investment bank providing premium M&A and financing services to media and tech companies globally. My team and I have a track record that includes landmark M&A transactions such as Aeria Games/Gamepot, Club Penguin/Disney, SRS Labs/DTS, Hearst-UGO/News Corp-IGN, Grouper/Sony, MusicMatch/Yahoo!, MySpace/News Corp., NevenVision/Google, and DailyCandy/Comcast; as well as equity financings for Wildtangent, Realtime Worlds, Meebo, Move Networks and LegalZoom. Google Ventures is a radically different kind of venture-capital fund. The Google Ventures hands-on teams work with portfolio companies full-time on design, recruiting, marketing, and engineering. Google Ventures also offers Startup Lab, a dedicated facility and educational program where companies can meet, learn, work, and share. Google Ventures invests hundreds of millions of dollars each year in entrepreneurs with a healthy disregard for the impossible. 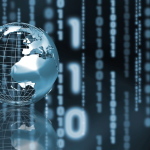 Pillsbury is a full-service law firm with a keen industry focus on technology. Based in the world’s major financial, technology and energy centers, Pillsbury counsels clients on global regulatory, litigation and corporate matters. 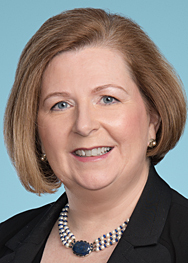 Pillsbury works in multidisciplinary teams that allow them to anticipate trends and bring a 360-degree perspective to complex business and legal issues–helping clients to take greater advantage of new opportunities and better mitigate risk. This collaborative work style helps produce the results clients seek. Sean F. Kane will be a featured panelist at the upcoming Video Game Bar Association’s inaugural Game Business & Legal Affairs conference. The conference will provide an in-depth analysis of the prevalent and pertinent legal and business issues within the video game industry. Sean will be serving as a panelist during the “Adventures in Finance” session which will take place on Tuesday, May 21st at 9:00am. Working capital drives development, and this panel looks at the finance landscape, including new trends and legal details for crowdfunding, raising venture capital, structure of exits, and where tax credits for development and research can be maximized across an organization. Pillsbury Rocks Social Media Week in NY and DC – Game On! 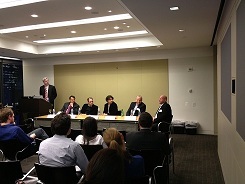 Thank you to everyone who joined us in both New York and Washington, DC for our Social Media Week events – Game On! Special thank you to all of our panelists: Randy Leibowitz, Mike Scafidi, Tim Ettus, Lou Kerner, Peter Corbett, Jim Gatto, Sean Kane, Lauren Lynch Flick and Tina Kearns (many featured in the picture and video below). Amid a growing chorus of criticism that software patents are too vague and can hinder innovation, the U.S. Patent and Trademark Office on Thursday announced plans to create a new group to work with the software community to improve patent quality. Recently, a federal judge reportedly indicated tentative approval of Facebook’s offer to settle a class action claim arising from its use of individuals’ names and likenesses in connection with Sponsored Stories, a service it rolled out in January of 2012. Zynga Inc. was hit with a proposed class action Monday in California federal court by a former software engineer at the social media gaming firm accusing it of failing to give engineers proper overtime pay by misclassifying them as exempt from such wages. As recently as 2011, the expectation was that the social gaming industry was the future of big money in video games. Companies like Zynga were valued in the billions. In 2013, not so much. Investment in social game companies dropped by $1 billion in 2012. Social game developer and online poker hopeful Zynga made waves last month with its hiring of former 888.com exec Maytal Ginzburg, but more top execs continue to flee Zynga’s floundering ship. Yesterday, analyst firm SuperData released a report stating that the worldwide social casino game market will be worth $1.6bn in 2012, and projects it to grow to $2.4bn by 2015. This shows that not only is there a sizable market for casino games in the social space, but that it should continue to grow rapidly as more players look online to play casino-style games. In the United States, a summary of The Internet Gambling Prohibition, Poker Consumer Protection and Strengthening UIGEA Act of 2012 legislation has been released outlining what future federal online gaming regulation could look like. The NYPD has released a memo that lays out rules for using social media during investigations, but critics say the new guidelines raise questions about privacy issues, according to a report. Jonathan Abrams, whose resume as a founder or co-founder includes the Founders Den startup workspace, event service Socializr, social bookmarking service HotLinks, and Friendster is launching his latest startup today: Nuzzel, a site for browsing the news that your friends have shared on social networks. The internet is changing everything, including the wait in line to buy tickets. A turf war is breaking out in the videogame industry and, for once, it has nothing to do with Nintendo, Microsoft and Sony. This fight is taking place on smartphones with names like Gree Inc. and DeNA Co. –a pair of Japanese firms little known in the rest of the world despite being the two most profitable companies in mobile games–taking on Zynga Inc. and potentially Apple Inc. and Google Inc.
Workers of America, be careful what you “like” and post on Facebook. A U.S. district court in Virginia recently found that a sheriff’s office employee “liking” a Facebook page was “insufficient speech to merit constitutional protection.” Several former employees claim they were let go after the sheriff found out about their support for a political rival through a Facebook “like,” among other actions. The Ninth Circuit, which is considering rehearing its finding that Veoh Networks Inc. is shielded from Universal Music Group Inc.’s copyright claims, asked the parties Thursday whether it should adopt the standards set by the Second Circuit in its recent YouTube ruling. As ‘Gamification’ Trend Grows, Badgeville Banks $25M. More businesses are embracing the idea of using game techniques-such as awarding status, access and rewards-to influence behavior both inside and outside their enterprises. Betting that this “gamification” trend will continue, investors have poured $25 million into Badgeville at a pre-money valuation well north of $100 million. If you were scared that your online activity was being tracked and possibly analyzed, let us inform you that you were very much accurate in your suppositions. No, this is not one of those conspiracy theories you hear on the news so often. The United Kingdom online monitoring law just got published showcasing some disturbing facts. The paper is 123 pages long and is actually a draft of the Communications Data Bill.